LOVE. Yesterday I finally received all the items from the collection me, Andy & Chiara designed for Mango and I can’t wait to show you guys all of the 10 pieces! First up are two of my favorites, the neon duo! WERELSE FOR MANGO TOUCH bag & shoes. 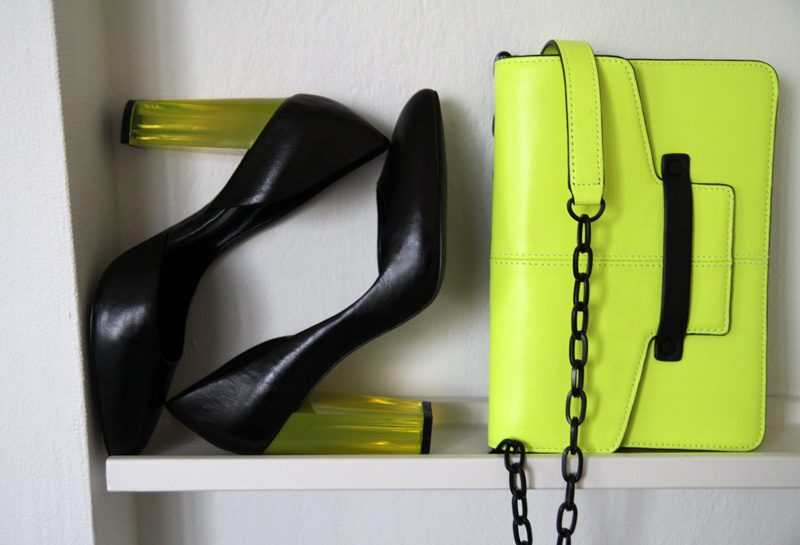 This entry was posted in Details, Fashion and tagged neon bag, neon heels, werelse, werelse for mango by Carolina Engman. Bookmark the permalink. I’m in love with those heels ? wow they look so gorgeous!! love it!! cant wait to get my hands on them!! I love the bag, and the shoes are so original! absolutely in love with this neon and black combo! It’s one of my favorite spring trends! Hey, I’d love if you’d check out my latest post- I adore your blog and would value your opinion on my design, layout, and style! thanks, love! The bag is FABULOUS :) Congrats! Ah! I definitely need to get my hands on that bag! OMG these shoes are so beautiful I can’t wait to have one pair for my own!! I love that bag, kinda reminds me of Cambridge satchel, but love it never-the-less! and those shoes, I was just obsessing about them in Chiara’s post!! I started saving when you told us the news,can’t wait for the collection to hit the stores! The shoes and the bag are fabulous!!! I love them!! I could use some more neon in my closet. Amazing pieces, that bag is so lovely! wooow. this is one gorgeous duo! love neon at the moment a lot and this bag is such a cutie! I am in love with that bag – it is SO perfect!! These look great in the flesh. Well done! Love the Bag! Great colour! This is awesome!!! Can wait to see all! Love it both! The shoes and bage and it is such a great combination! So cool! You guys did a great job. I am so embracing the neon thing this summer at the beach. I have already planned it out in my head… Im going to call it Neon Waves. Perhaps I can style one of your pieces into this story of mine. Wow ! Wonderful ! I can’t wait for them to be released ! Will this pair be available in Asia? These accessories look great! Congrats! LOVE the purse!!! will it be available in the Mango in Canada? So so so so SO amazing. Those heels are perfect. Amazing, love this bright statement duo! Love the idea of neon heels, they look almost like lights. Would this also be available worldwide mango?? such as Hong Kong? I love anything neon so I can’t wait to get the bag. omg i love that neon color! the simple detailing on that bag is really cute! Neon yellow! I can’t believe you designed it! awesome! amazing! I´m so in love with the neon heels! like the shoes and bag! I’m such a fan of neon yellow! Love the neon bag! I think this can be the perfect bag for summer! For transalte, please go to upright frame, if not work please put your mousse focus in this frame and click F5. 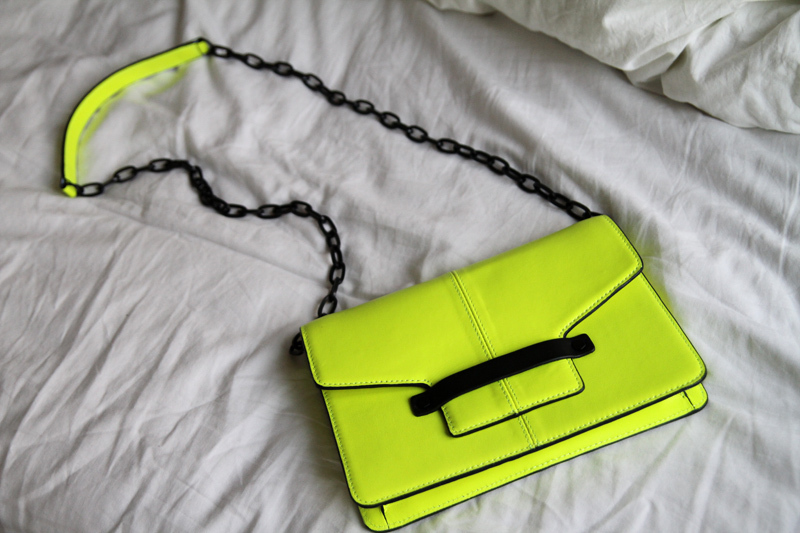 Stunning bag, love the neon yellow! Like your Mango collection! Hopefully it will be available at Belgium too! Oh!!!! I want the shoes and the bag! as soon as the collection is released I´m going for them!!! lovw what you did, congrats!!!! I NEEEEEEEED those heels! =) The three of you did a great job! I like the clutch a lot!!! hey, this bag is so cool! I love so much this color! kisses from your follower! ? I love eat! Congrats! You all have a real and inimitable sense of fashion. When will it be available on on Mango stores? OMG!! I love them all !! But the one i really love the most is the bag !!! Btw, will this… i mean, the whole collection by werelse for Mango will come to Colombia, too? I am in live with those shoes. Need them in my life! Oh I love both items! When does this stock go in store! Want that bag big time! Love love the bag, so right for this season. god! those shoes are to die for!!!! and the bag, oh god the baaaaaag!!!! 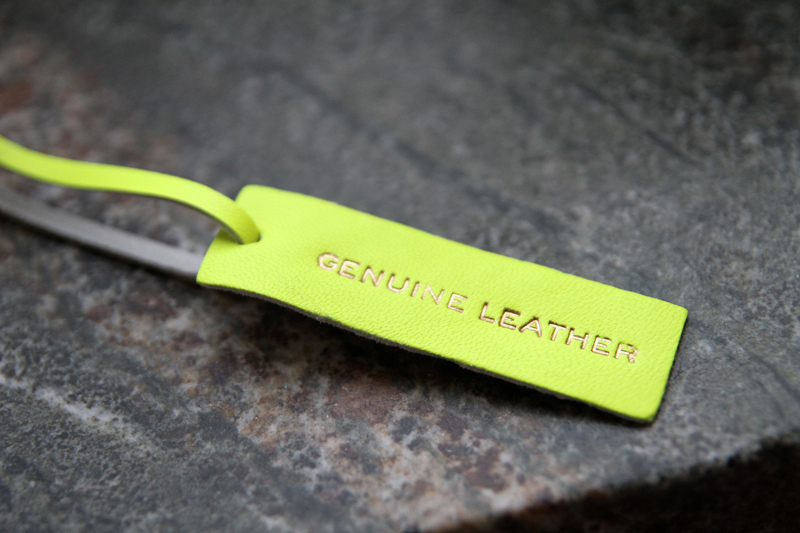 neon is one of m favorite trends, since they bright up any look! That color.. such as my favorite color.. and that things are so meee..
really need to buy that 2 things!! These shoes are so perfect !! the bag is soo amazing!! Absolutely loved the items! Can´t wait to see them in stores! the heels are amazing ! looove the bag … want it! CAN’T WAIT to get my hands on these!!! I need both of these!!! Looking forward to seeing these pieces styled together in an outfit! oh my goodness, this post got me giddy and excited, I love those shoes!!! Wow! I NEED this bag in my life!!! The are gorgeous! Love both items very much! You did a great job! Check out my blog, follow me and I follow you back! stunning can’t wait for the collection came out!! 100% purchasing that neon bag.. its exactly what Ive been after. round of applause mango! These are the 2 pieces I am obsessed with too! I really want the neon clutch, I love everything neon! Cannot wait to receive these!!! I’m in love with these two pieces.